Magnolias Ratchadamri Boulevard is announcing its arrival as a city landmark and a leader in the super-luxury mixed-use market by enriching Bangkok’s festive season with ‘Beautiful Bangkok by Magnolias @Ratchaprasong’, Thailand’s first world-class high-rise 3D building mapping show. Magnolias aims for the 60-story display – running from 14 December until the New Year’s Eve countdown – to raise Bangkok’s global profile and give Thais and international visitors a wonderful new experience. Mr Visit Malaisirirat, CEO of Magnolia Quality Development Corporation Limited (MQDC), one of Thailand’s leading property developers, said: “Magnolias Ratchadamri Boulevard (MRB) is a super-luxury mixed-use project in Ratchaprasong, an exclusive neighborhood at the heart of Bangkok. It’s known as the city’s business center and has enjoyed rapid growth through several commercial and residential projects. We developed MRB by prioritizing design and the selection of high-quality materials, which is apparent in the building’s iconic shape. It is innovatively constructed with sophisticated technology that delivers the very best for clients. To elevate the Ratchaprasong district’s global appeal, MRB has joined Ratchaprasong Square Trade Association (RSTA) to plan development while promoting Ratchaprasong as a center of economic activity. Also a genuine landmark of retail, hospitality, luxury homes, and MICE in the heart of the capital. Mr. Visit Malaisirirat said: “We are very pleased to be a member of the RSTA as the area is the country’s key business district. This year, we are collaborating with RSTA and the Tourism Authority of Thailand (TAT) in organizing ‘Beautiful Bangkok by Magnolias @Ratchaprasong’, Thailand’s first 3D projection mapping performance on a 60-story skyscraper. 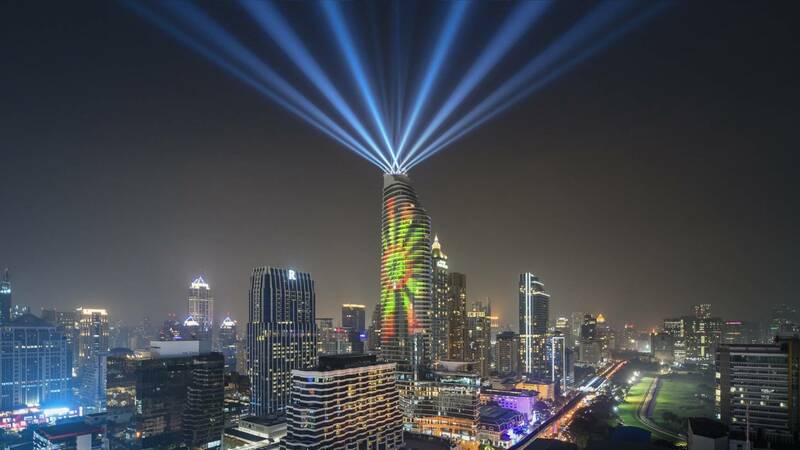 ‘Beautiful Bangkok by Magnolias @Ratchaprasong’ will use Magnolias Ratchadamri Boulevard as the canvas for high-technology 3D projection mapping through collaboration with the world-renowned Limelight group of artists. This show will raise the country’s profile and people will enjoy the event together during the festive season. The concept is to show a city of contrasts that creates a unique harmony: traditional yet modern, always vibrant and crowded but peaceful, a city where past and present will continue to coexist.